It was only a matter of time before the soaring popularity of card and toy game Bakugan was snatched up by a developer and turned into a video game. Activision today announced they've signed a deal with Nelvana Enterprises to develop and distribute a video game based on the toy and animated television series. The first Bakugan game will be released for the DS, Playstation 2, Playstation 3, Wii and Xbox 360 this fall. They will be developed by Japanese studio NOW Productions and feature battles, the ability to create your own Brawler, cartoon graphics and multiplayer combat. "Bakugan's success in 2008 speaks for itself and we're confident it will be even bigger in 2009," said David Oxford, Activision Publishing. "It is our goal to expand this proven property in a way that both fans and gamers will love." "Ever since Bakugan exploded in popularity, players have been clamoring for a video game version," said Doug Murphy, President, Nelvana and GM, Corus Kids. "We share our fans' excitement in doing battle in an interactive Bakugan world!" 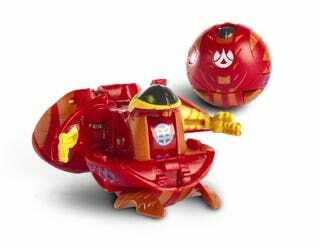 Bakugan tells the story of Dan and his friends as they battle their Bakugan Brawlers to save the planet of Vestroia and, ultimately, Earth from destruction. The toy line, developed by Spin Master Ltd., mixes collectible trading card games with marble-like Bakugan spheres that transform into "battle brawling" action figures when rolled onto special game cards. Funny story. Tristan was playing Bakugan with his friend over the weekend and I asked both of them if they knew how to play the game because I couldn't figure it out even with the instructions. They said no, and then continued to play.